WASHINGTON, DC, July 13, 2011 (ENS) – The U.S. Nuclear Regulatory Commission’s Japan Task Force today recommended that the NRC’s “patchwork of regulatory requirements” developed “piece-by-piece over the decades” should be replaced with a “logical, systematic and coherent regulatory framework” to further bolster nuclear reactor safety in the United States. The task force was asked to propose improvements in U.S. nuclear power plants in view of the ongoing crisis at Tokyo Electric Power’s Fukushima Daiichi nuclear power plant on Japan’s Pacific coast triggered by a 9.0 magnitude earthquake and giant tsunami in March. The task force recommended improvements covering loss of power to earthquakes, flooding, spent fuel pools, venting and preparedness. “Continued operation and continued licensing activities do not pose an imminent risk to public health and safety,” the task force reports. Still, “a more balanced application of the Commission’s defense-in-depth philosophy using risk insights would provide an enhanced regulatory framework that is logical, systematic, coherent and better understood,” the task force concluded. “Such a framework would support appropriate requirements for increased capability to address events of low likelihood and high consequence, thus significantly enhancing safety,” the task force wrote. 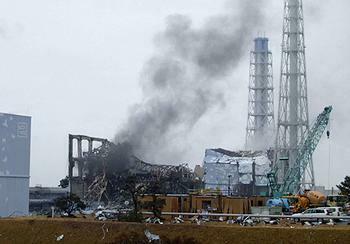 The Fukushima Daiichi nuclear plant suffered major damage and is not expected to reopen. Tsunami waves of up to 14 meters (45 feet) disabled emergency generators and partial nuclear meltdowns occurred in three of the six reactors when cooling systems failed. Hydrogen gas built up and exploded in three of the reactor buildings and spent fuel pools in three units lost cooling water, exposing nuclear fuel. The Japanese government has established a 30 kilometer (20 mile) evacuation zone around the stricken plant. The task force developed a set of 12 recommendations to increase safety and redefine what level of protection of public health is regarded as adequate. It also recommended additional study of some issues. “The independence given our team was outstanding. Everything was on the table and we felt free to take a holistic approach to these key subjects,” Miller said. Requiring plants to reevaluate and upgrade as necessary their design-basis seismic and flooding protection of structures, systems and components for each operating reactor and reconfirm that design basis every 10 years. A design basis accident is one that a nuclear facility must be designed and built to withstand without loss to the systems, structures, and components necessary to assure public health and safety. Requiring reliable hardened remotely operated, DC powered vent valves in boiling water reactors with Mark I and Mark II containments. Containment pressure can rise to levels that require venting to the atmosphere when events occur that exceed the design basis. As events at the Fukushima Daiichi power plant showed, this venting comes with risks such as over-pressurization of duct work and the inability to open the valves during a station blackout or under abnormal pressures. In the United States there are 23 Mark I and eight Mark II containments, 31 plants in all. The task force also acknowledged work on flooding and seismic issues under way at the NRC before the March 11 Fukushima event. 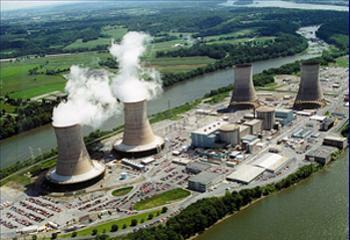 The report has been given to the five members of the Nuclear Regulatory Commission, who are responsible for making decisions regarding the task force’s recommendations. This short-term review will be followed by a longer term review with recommendations for the commission’s consideration within six months. “We asked the Japan Task Force to undertake a systematic and methodical review of our processes and regulations to determine if the Commission should make additional improvements in our regulations and to give us recommendations for policy direction. 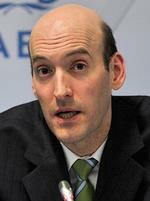 This comprehensive report fulfills that charter,” said NRC Chairman Gregory Jaczko. A Fukushima-like crisis could happen at any one of the 104 nuclear reactors in the United States, said David Lochbaum, a nuclear engineer who heads UCS’s Nuclear Safety Project. UCS recommends that the Nuclear Regulatory Commission extend the scope of its regulations to include “severe,” or extreme, low-probability accidents. Currently, the agency’s regulations concentrate on so-called “design-basis” accidents – ones that U.S. reactors must be designed to withstand. “Severe accidents can happen, but the NRC’s weak requirements and the industry’s voluntary severe accident guidelines are not enough to protect the public, especially when a significant number of plants do not pay attention to those guidelines,” the UCS warned. This recommendation encompasses the issue of “station blackout,” when a plant loses both off-site and on-site AC power to maintain cooling systems as occurred at Fukushima Daiichi. The NRC should require plant owners to transfer spent nuclear fuel from storage pools to less-vulnerable dry casks after five years, when it is cool enough to remove from the pools. The agency should, “Require new reactors to be safer than currently operating reactors, most of which were built at least 30 years ago,” the UCS recommended. And the NRC should also, “Make the value of human life it uses in its analyses consistent with that of other government agencies, which are higher. That would force plant owners to add safety features that the NRC now considers too expensive because it underestimates the value of lives that could be saved,” the UCS recommended, explaining that the NRC uses the figure of $3 million as the value of a human life, while other agencies use figures that range up to $9 million.